Do you wonder what this Bitcoin Cryptocurrency thing is all about? Are you just starting your journey or have you been HODLing for years? 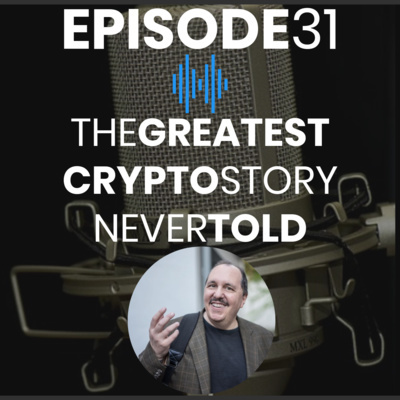 Whether you are new to Crypto and Blockchain or an old hand, DYKC will be your go to podcast for the foundations for understanding as well as the latest insights and interviews with thought leaders in this exciting space. Today I welcome JW Weatherman of Twitter fame to talk about all things Lightning Network, 2nd layer and sidechains. This is a subject that I admittedly am woefully uneducated in and a month or so ago I decided to really start learning how all of this works since it is not beyond talk and speculation and is now a reality. JW and I talk about... Why the need for 2nd layer scaling What is Lightning Network How does it work? How can you use it now? Does it differ in use and security from Bitcoin main chain? What are sidechains Attacks on Bitcoin. In this episode I talk to Andrew Glidden Law Student at University of Berkeley School of Law and co-author of a paper for the Cambridge Centre for Alternative Finance. I came into contact with Andrew because he had responded to a tweet by Nic Carter that I initially found to be quite inflammatory due to its seeming disrespect for property rights. This conversations and thousands just like it are extremely important to be having now. We need to have the hard discussions now and not later; to tackle the hard questions long before they ever become catastrophic. In this episode I talk to Emily Coleman, Chief Marketing Officer for ShapeShift.io a platform that allows for quick swaps of over 30 cryptocurrencies and tokens. Emily talks about a topic that I am extremely passionate about, that being increasing the focus on improving the UX ( User Experience) in the Bitcoin space and storytelling. Marketing when done right is storytelling and every major social movement has required good storytelling to begin, grow, conquer and thrive. Bitcoin has had many stories in existence, and we need to find the next on that will connect with the public at large to increase adoption. In this episode I speak with Jonathan Hales the founder of Bitbacker.io a censorship free patreon alternative that runs on Cryptocurrency. There is a dire need in the world for alternatives to the arbiters of acceptable opinion that have taken hold in silicon valley and what used to be the free speech bastion that was the internet. Jonathan and I talk about... His Bitcoin journey The Deplatforming issue on Patreon What is Bitbacker.io? What can it do now? What will it do in the future? 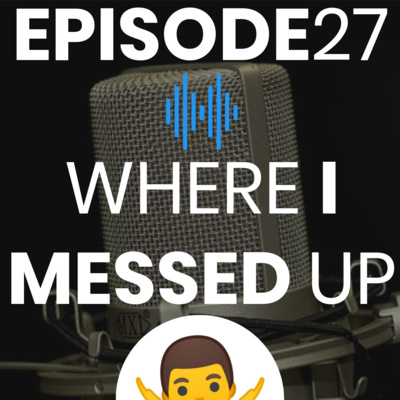 In this episode I am joined by Kurt Wuckert Jr. of Crypto Traders Pro, A Bitcoin/Libertarian evangelist and someone I have enjoyed speaking to over the last year. Kurt is a long time believer in Bitcoin and the freedom it brings to humanity as well as the ability to better your personal life through profiting by trading crypto and any other assets. Kurt and Crypto Traders Pro are all about teaching you the skills necessary so you can trade independent of them or within the community, whatever you choose. In today's episode Kurt and I discuss: What is Trading What is Fundamental vs Technical Analysis Is trading for everyone What tools do you need to learn trading How to Avoid Scams What is Bitcoin Big Blocks vs. Small Blocks Why does he support Bitcoin S.V.? In this episode I am joined by Robert Murphy Senior Fellow at the Ludwig Von Mises Institute, Research Assistant Professor at Texas Tech, Co Host of the Contra Krugman Podcast and author of numerous book, including his latest, Contra Krugman: Smashing the errors of America's Most Famous Keynesian. Robert Murphy has been someone I've been following for years via his work with the Mises Institute and his work with Tom Woods of the Tom Woods show. We talk about the Austrian School of Economics which is best described as one that promotes a truly free market and intricately part of the Bitcoin story. I would argue that Bitcoin could ONLY arise from someone with a deep understanding of Austrian Economic theory. Today I welcome Pierre Rochard of the Noded Podcast and well known Bitcoin Maximalist to talk about his views of the Scaling Debate and how Bitcoin can become global money. Last year in August of 2017 Bitcoin split because of the differences in approaches between these two groups. This is the second of parts featuring individuals from each side of the debate so that the public and newcomers can understand WHY it happened. The world of Bitcoin and Cryptocurrency are going to change forever November 15, 2018. I sit down with Vin to talk about how the era of the Hash War's are just beginning and why its about to change the world of Bitcoin and the rest of the world forever. You don't want to miss this. Episode 4: How do I buy my first Bitcoin?